Brighton has come a long way since the beginning of the year where I found myself weeping in a Fiesta having put another slice of soggy pizza in my mouth, laden with processed cheese and catering olives. 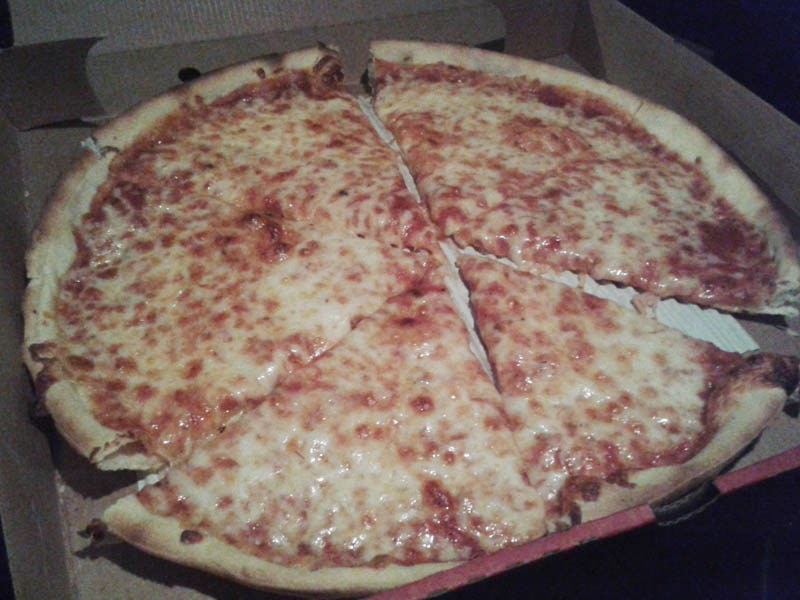 Eating pretty much from every pizzeria in the city to prove what I already knew; local pizza was, with little exception, inauthentic and at times, just plain vile. 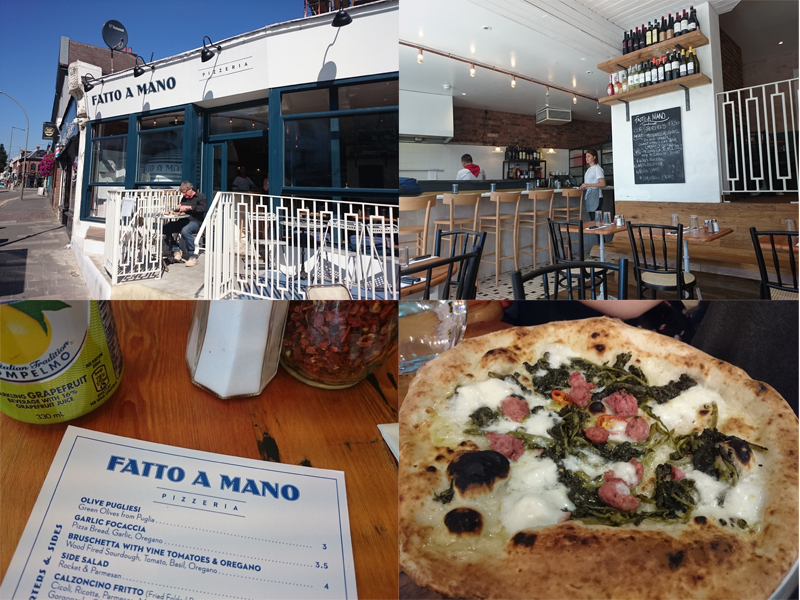 Fatto a Mano is a prettily designed, simple pizzeria but has everything you'd want. 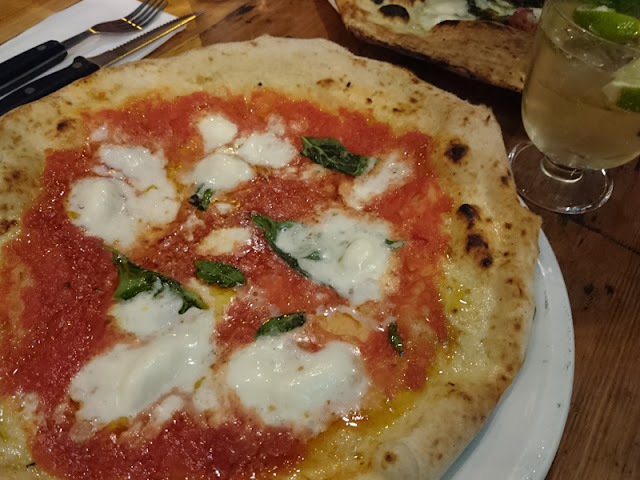 Firstly a beautiful, mosaic wood-fired oven and a concise menu with an equal mix of red sauce and white (without tomato sauce) pizza with a nice range of toppings. I visited twice in a week. Once for a dinner with my girlfriends and a quieter lunch. Pizza was pretty consistent on both visits but the atmosphere is different. Evenings are busier and lively and it hasn't taken long for word to spread - the place was packed cheek to jowl. Throw in a few Hugos though and its a buzzy venue for dinner and giggles with your besties. As always, I started with a traditional Margherita. The sauce was well seasoned, perfect quantity and precisely the dotting of creamy mozzarella I want to see too along with a few fresh basil leaves. The dough here is very good. Wood-fired ovens give the base that extra dimension in taste, a little char and singe really is what you want. 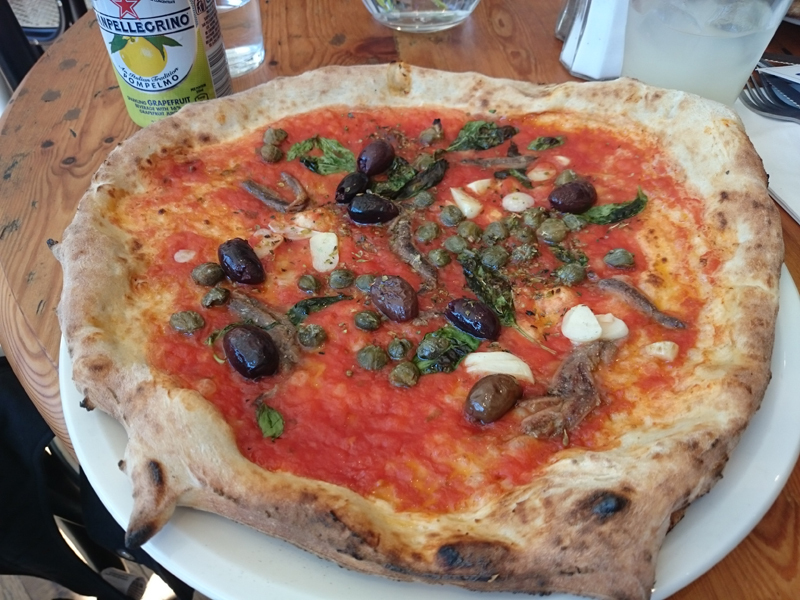 The base was perfectly cooked with the char I want and the well formed cornicone had a decent bit of leorparding (if you want to know what the hell I'm on about, take a look at my pizza geek glossary here). Around the table the other pizza looked good, my favourite being the Salsiccia and Friarielli (sausage and a type of broccoli hybrid, local to Naples). 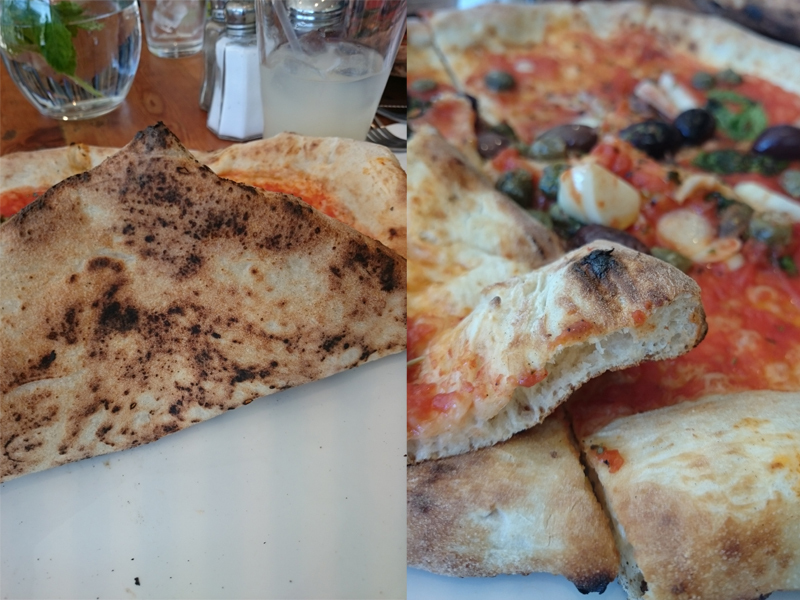 I went back a few days later for lunch and tried a Napoletana. This was the same as my last, still good, decent toppings of tomato, anchovies, plump capers, dried oregano, fresh basil and the big hooray; decent black olives (not the horrid dyed tinned ones). Luckily I love garlic and wasn't on a first date because there was a Dracula-proof amount of the fresh stuff on there, possibly too much but such a minor point. 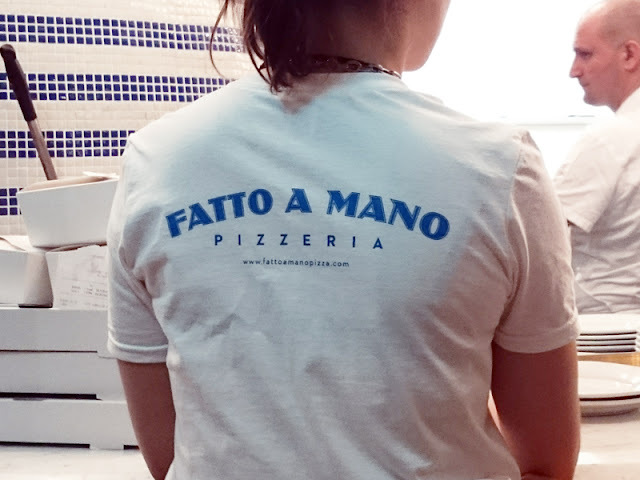 Had Fatto a Mano been the only real pizzeria in town, it would no question be the best and it really is good. But personally, I think Nu Posto just pips it to the, er, post, purely as I prefer the airy, pillowy light nature of the dough there. But I'd happily eat at both pizzerias and half the large table who were with me preferred this, so either way you can't go wrong. What they do do better here though is the drinks, particularly the beer. A return is required for a slice of Torta della Nonna or even the Scugnizzielli (fried pizza doughnut strips) and nice they encourage you to pop in during the daytime for a sweet treat and coffee. It's so great that you have a hankering for pizza in Brighton now, you do not have to subject yourself to cheap catering cheeses, terrible quality and inauthentic toppings, substandard or bought in dough, or even flown in dough from Rome (carbon footprint anyone?). The real deal is finally here.